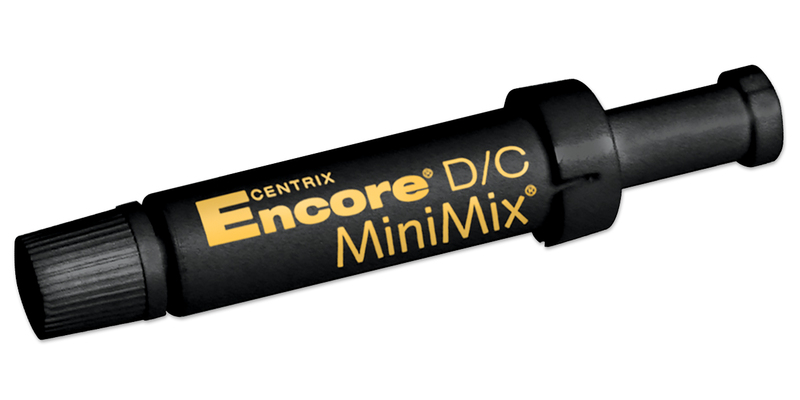 Dual-cure core build-up composite material in single-dose cartridges. Non-slumping formula eliminates the need to use a matrix and the material can be light-activated in order to accelerate the set. Contains fluoride. Contains: 36 x 0.5ml single-dose cartridges, 72 mixing nozzles. Mixing tips have clear hub, clear barrel, and green mixer.